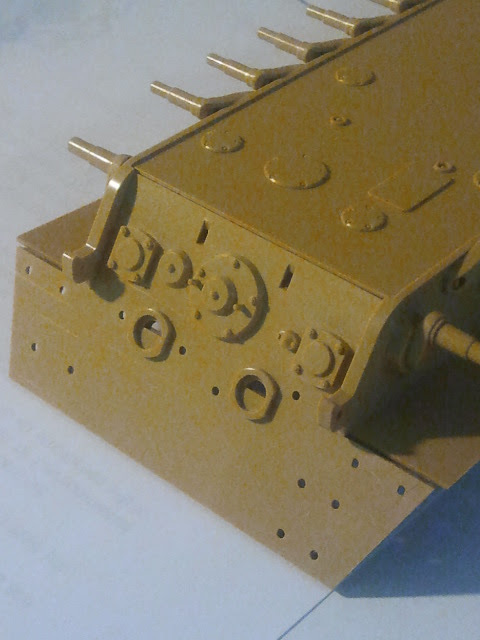 Back a few months ago, I found a sweet deal on eBay and ended up getting a bunch of kits, including a Tamiya King Tiger, "Henschel" turret. This was probably not gonna get built for a few years, but when I was in Minneapolis recently, I stopped into a modelling mecca, Scale Model Supplies (if you are ever in the Twin Cities, you must go!). They have a whole bunch of after market stuff. 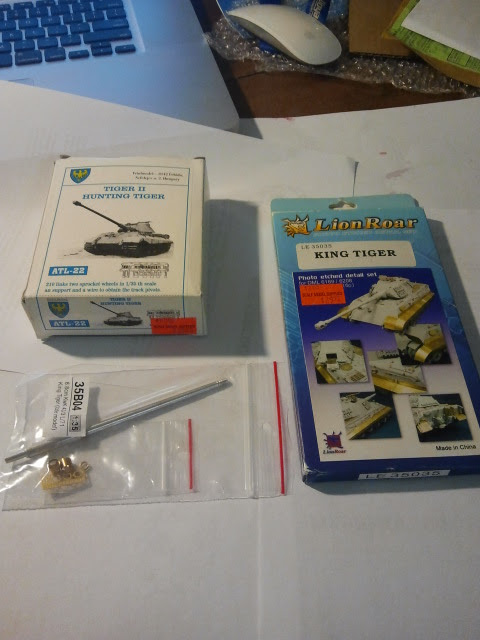 I found Friul Tiger II tracks and a LionRoar photo etch kit for the King Tiger. 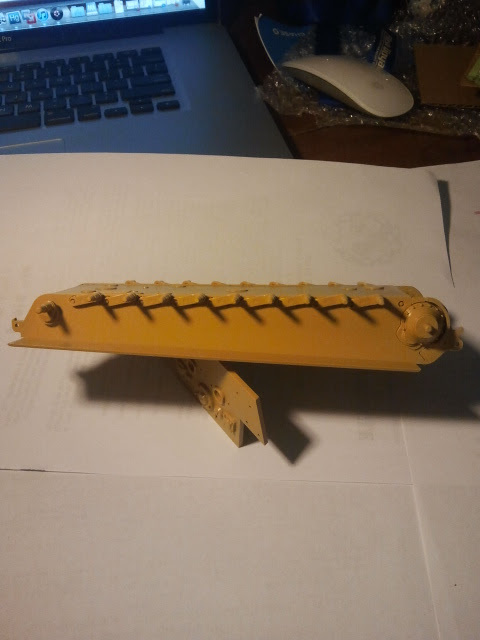 The Tiger B just moved to the front of the line (along with a Heinkel 111 H-22 --btw in case you're wondering, the M-10 and Marder II have been repaired, I haven't started on fixing the Lee, still hurts to look at it). So... wrong Tiger tracks. It's the Atl-22, which were only on the "Porsche" turreted version. So I'm awaiting an order of atl-16, but it will be sometime before I get to the tracks anyway. I ordered a Jordi Rubio barrel. No instructions, but I think I know how it goes together. 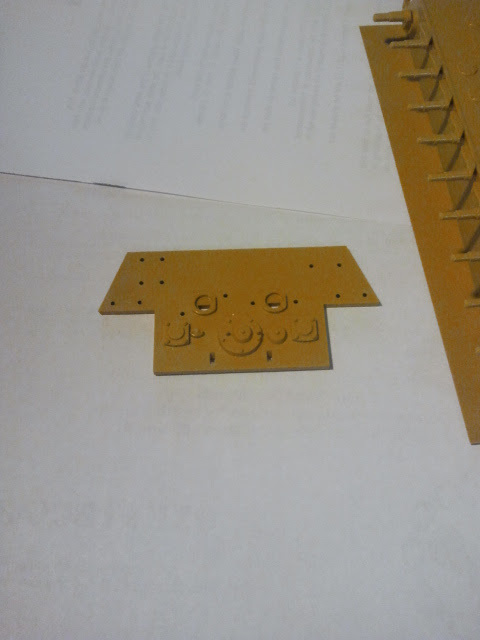 Dunno if you can tell, but I've already begun removing parts on the rear hull for the brass. 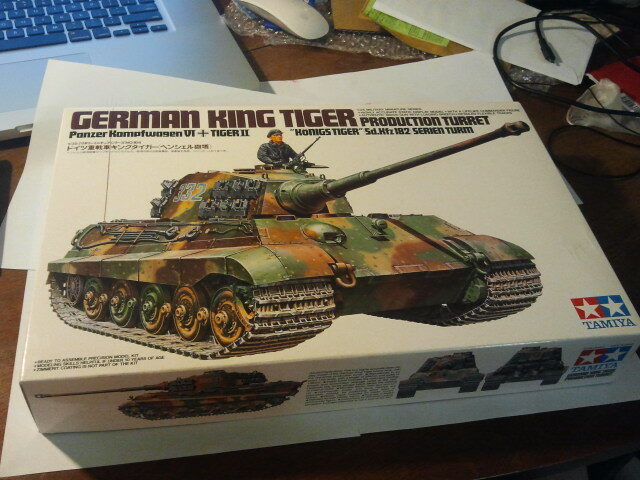 I'd like to do a post-zimmerit Tiger, and preferably not SS (I know, they have the coolest paint jobs). 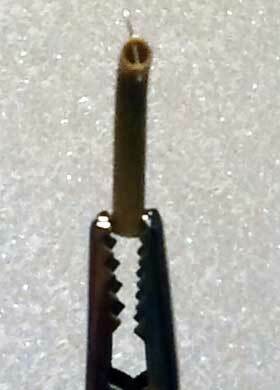 Any ideas, guys? Last edited by armor fiend; 07-21-2011 at 09:06 PM. This build is going to be awesome. There's some very slight warping, and the rear hull has some quite noticeable gaps between it and the rest of the hull. I guess the gaps are to be filled with putty and molded into seams. The Mac is a a work perk. When I'm not at work, I get to take it home and use it. Okay, so despite my no SS rule, I've decided to go with 222 of the 501. Why, cuz so many others have done it, it should be easier for me to follow along. I'm still in the learning phase of this hobby. So if anyone's got any pics, or access to the video, that would really help. Working on the rear panel a little today. 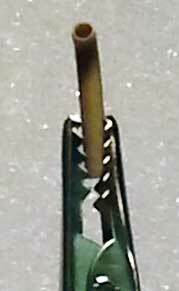 Drilled out the exhaust pipes, then drilled a little hole using a 78 gauge but, and inserted 28 gauge silver wire for the grenade stopper.